You never know who you’re going to meet. Always present yourself in a professional and respectful manner. People are watching you. Smith, who has a bachelor’s degree in elementary education from The Ohio State University, worked for more than 15 years at product development and engineering companies where she placed designers and engineers. Ten years ago, she jumped from recruiting to higher education as career services director for Brown Mackie College and was responsible for preparing graduates for the workforce. She joined GCU in 2008. “I have loved every minute of it,” said Smith, who earned an M.S. in Leadership from GCU in 2011. 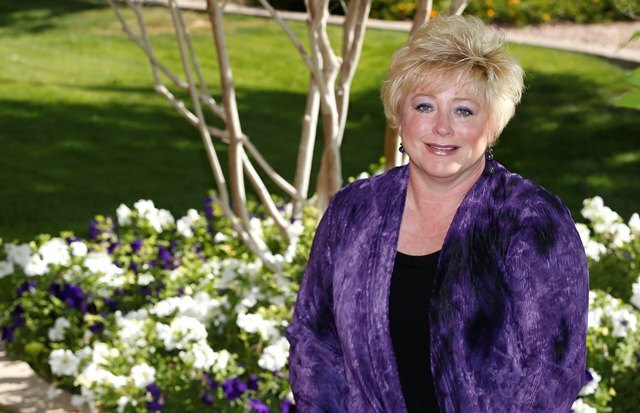 She believes GCU’s students and alumni are set apart from those at other universities in that they want to make a difference. “It’s not just acquiring knowledge that will make you successful, it’s the ability to incorporate our Christian heritage with a world-class education and translate those principles into the workplace,” Smith said. The best career advice Smith has received is to “give 100 percent each and every day. Also, I always try to greet everyone with a smile, because you might be the only ‘Jesus’ they see that day,” she said. Smith said she enjoys spending time with her husband, Dave, director of academic excellence in GCU’s College of Education, decorating, watching HGTV and snuggling with the couple’s Pomeranian, Leo. For information about assistance available from Career Services, drop by its office in Camelback Hall, call 602.639.6606 or click here. You’ll find tools that can help you identify your career path, build your resumé, research career options and apply for job postings.